McLaren are being put through the wringer at the moment and you have to feel sympathy. Well, maybe you don't, but I do. 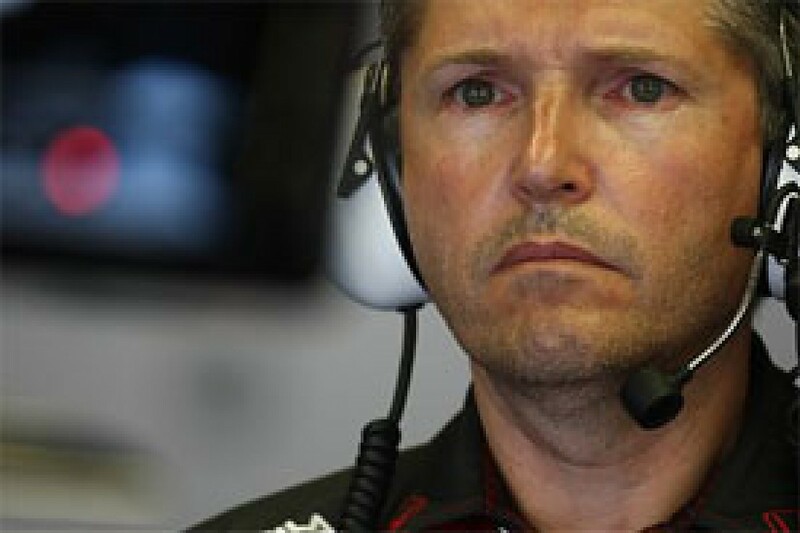 It was no secret in the F1 paddock that Nigel Stepney was unhappy at Ferrari. He'd admitted as much in an Autosport interview at the start of the year, when he mentioned he was open to offers from elsewhere. Predictably, it didn't go down well in Maranello. Nigel had become something of a minor celebrity in Italy, he enjoyed a good 'straight through' relationship with Ross Brawn. By which I mean direct. They spoke, and the problem was sorted. No messing. With Ross gone and a new 'Italian' structure in place, it was easy to see Stepney becoming marginalised. 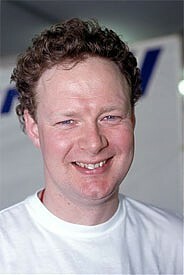 It's easy to forget that Nigel has been at Maranello since the back end of '92 - almost 15 years. Widely credited with a work ethic and attention to detail that culminated in Ferrari's unprecedented reliability record, he was also well rewarded, with an annual salary purportedly well north of £500,000 (GBP). I remember going to Maranello to write a feature in '96, when Ferrari were struggling with the F310 from John Barnard's FDD concern at Guildford, for which Mike Coughlan worked. Stepney, based in Maranello, was responsible for much of the liaison and logistics between Italy and the UK. He had met Barnard at Benetton, where they had run Nelson Piquet before Nelson poached Stepney to run the Piquet Sports F3000 team for Olivier Beretta. Barnard had then recommended to Ferrari that they could do with a man like Stepney to sort them out at the factory. Nigel was therefore at Maranello before Jean Todt. At the time I visited Ferrari the heat was on Todt, now three years into his role, with Michael Schumacher in his employ but with a chassis that some suggested was less aerodynamically efficient than any other car on the grid save the Forti. Stepney said that things had improved out of sight at Maranello since Todt's arrival, but it was still easy to see how Ferrari differed from other race teams. One of the non-Italians working there told me: "It's extremely hierarchical. The staff are factory workers and there are rules and bureaucracy which you wouldn't get in a specialist racing outfit. "There is a cachet attached to being part of the racing division, but the race bays are as close to the cars as some of the lads come. They don't even get out of the back door to watch the cars run at Fiorano. "If someone wants to leave the building for 10 minutes they need to get a piece of paper signed. You find mechanics standing around comparing pay slips. They are local guys, and Ferrari is a job for life. The pay isn't great, probably £7,000-10,000 less than in an English team, and tax is more than 40 percent." Stepney has been around Formula One for 30 years. He fettled Elio de Angelis's Shadow before the Italian took him to Lotus. With a ready smile and a 'seen it all before' bearing, he is regarded as a glorified chief mechanic by those jealous of his Ferrari stipend. But you shouldn't pigeon-hole people. After all, Ron Dennis was a mechanic 40 years ago. So often, those of a practical bent who can also transcend the commercial realities of a business make the best managers. They've done it and so they know. The other thing is that they all read about Adrian Newey earning ten million. Sterling, euros, dollars, whatever, doesn't matter. OK, so Newey is the best aero guy in the paddock at a time when aero is where it's at, but Stepney probably reckons he could knock heads together and organise a structure in much the same way as Mike Gascoyne, even though Gascoyne, too, knows one end of a wind tunnel from the other. With Honda deeply in the mire, Stepney identified them as the Main Chance. And, possibly, he thought that without fancy titles on his CV, he needed to dangle another carrot. Hence the Port Ginesta dinner with Coughlan, now McLaren's chief designer. Recruit Mike, and possibly others, and get Honda to pay for 'the package'. People tend to follow their experience, and isn't that precisely what Barnard did - set up his own facility with Ferrari money? Twice, in fact, with GTO and FDD. Why should Coughlan be ripe for turning? I don't know, but you'd have to guess, once again, at money. Money corrupts, they say, and lots of it corrupts absolutely. Part of McLaren's 'flat' management structure, Coughlan has been at Woking for five years and while well paid by all reasonable standards, his salary won't be stratospheric. And, right now, he's the chief designer of the car leading the world championship. The timing was good. Gascoyne happened to have his boat moored in Port Ginesta and saw Coughlan and Stepney having dinner as he strolled round the harbour to buy some milk and a paper. And, predictably, on the eve of a full F1 test at Barcelona, Mike wasn't the only one who spotted them. But no big deal. Ten years ago Coughlan, a big though in no way brash man, was not someone you missed as he traversed airports in his smart regulation Ferrari blazer, Prancing Horse proudly adorning the breast pocket. This was back in the Barnard days, just before Todt recruited Brawn and Byrne. Two old mates having a bite to eat in Barcelona a decade on? 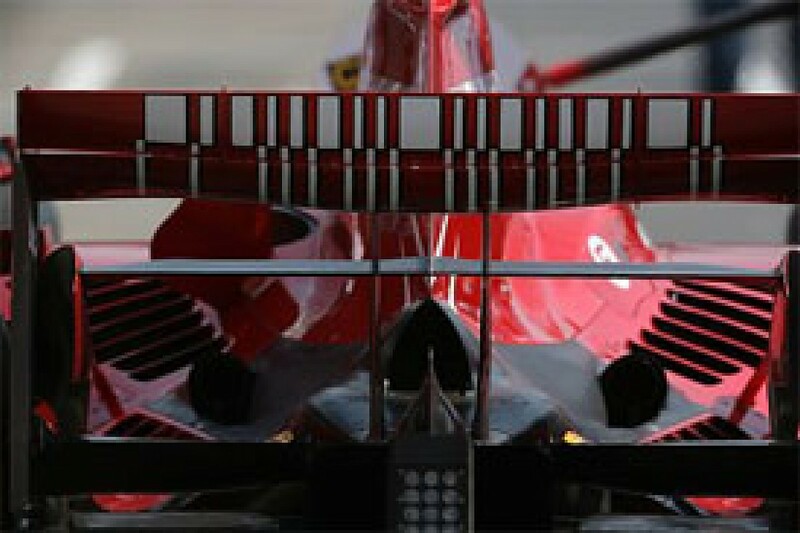 More than that as it transpired, not exactly subtle, and doubtless very interesting to Ferrari. Nick Fry has told me that Stepney first contacted him in late April - probably straight after his April 28 dinner with Coughlan - and that they met for the first time on May 9. It was then that Stepney mentioned Coughlan, and another meeting was scheduled. And so on June 1, ironically the very day that Ron Dennis celebrated the personal milestone of his 60th birthday, his chief designer was busy talking to Fry and Honda. The F1 grapevine is fast-moving and it's unlikely that Stepney's dinner with Coughlan or his May 9 meeting with Fry remained secret for long. Within a week came rumours in the Italian media that Stepney had sabotaged the Ferraris pre-Monaco. White powder had allegedly been found around the fuel tanks. I'm not implying anything, merely stating the chronology. By now the Italian police were searching Stepney's apartment and Nigel soon went off on holiday to the Philippines with his partner and their daughter. Over the Indy weekend in mid-June came dark mutterings from within Ferrari that trouble was brewing. It exploded spectacularly early in the week of the British Grand Prix, when Ferrari sacked Stepney. Simultaneously, McLaren suspended Coughlan amid revelations that confidential Ferrari documentation had been found at Coughlan's house. Obviously it was not a big step to surmise that McLaren could be in a spot of bother and that it could extend as far as Lewis Hamilton and his championship points tally. As I drove to Silverstone listening to BBC Radio 5 Live, Bernie Ecclestone was quoted saying that there was no possibility of Lewis being docked points. You knew instinctively that situation would last only as long as it took FIA president Max Mosley to be questioned on the issue - another 48 hours. It's not Bernie who decides, it's the FIA World Council, and it can hand down anything from a reprimand to championship disqualification. I couldn't help but think that the two people I wouldn't swap places with at any price in that instant were Ron Dennis and Ellen Kolby, McLaren's head of communications. Ron cares passionately about doing things properly. Occasionally there can be problems. Take Monaco. On Thursday afternoon Lewis Hamilton had crashed his McLaren, his first mistake of note all year. On his walk back to the paddock Lewis was nabbed by a couple of press men, whose Friday morning deadlines were not too far away. This was obviously the story. 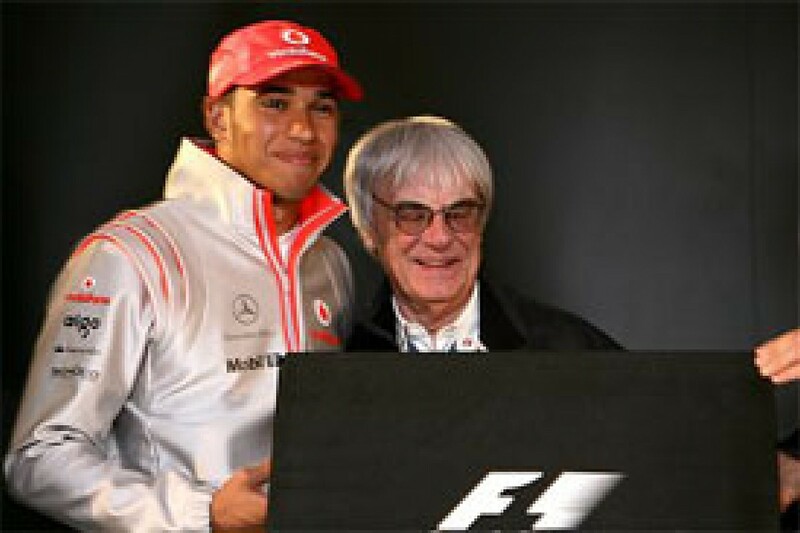 Lewis made it apparent that the team had told him to say nothing. It took time while Lewis talked to the team and then to Ellen, who passed on his remarks. Some of the daily boys were now getting a bit hot under the collar. He's in a man's world now, he's shown that he can handle himself adeptly, so where's the problem? That was the gist of it as far as the journalists were concerned. From Ron's perspective, drivers who had just made a mistake were at their most vulnerable and it was better for Lewis to take stock before saying anything. It was the protective arm around the shoulder. A couple of weeks later Ron and McLaren entertained the British media at a restaurant in Montreal. Before we sat down Ron said a few words, explained the extreme nature of the media demands on Lewis and the team, explained how hard Ellen worked at trying to meet the demand within the constraints that the team decided was sensible for Lewis, and asked that we cut her a bit of slack. Caring management again. A week later, Alonso had made his 'uncomfortable' remarks to the Spanish media and McLaren faced another media onslaught at Indy. Again Ron was open, he and engineering director Paddy Lowe explained a little about the workings of the team and, truth told, there was no big deal. The cars finished 1-2 on the track and whatever the ins and out, the story was positive. If there was pressure, it was for Alonso to handle. But Silverstone was very different. The British GP was big news and here, on the eve, the world was being told that a McLaren man had been caught with Ferrari information. Ron well knew that for 90 percent of the people hearing the news, the detail would be superfluous. Only the facts would register. And he knew what that meant for the reputation of an exemplary business, staffed by loyal, decent people, that was the culmination of his life's work. Coincidentally, the Thursday at Silverstone had been earmarked as the launch of McLaren's flashy new 'Brand Centre' paddock hospitality centre. Speaking at that, Ron had to fight to check his emotions. Of course, there were those delighting in his discomfort. Only a couple of weeks earlier he had spoken about his management style not permitting the luxury of emotion and, on the subject of ethics, about looking in mirrors and being comfortable with whatever looked back. "Well, he looks a bit emotional to me..." someone said mischievously, "and I bet he nearly pooped himself when he looked in his mirror and saw 750 pages of Ferrari technical information staring back!" There's black humour in everything and it's always alive and kicking in the F1 paddock. Coming back from a night out on Friday, we passed the Brand Centre well after 11:00 pm. There, sat on the steps, was Norbert Haug with some Mercedes colleagues and BMW head honcho Mario Theissen. "What's the matter chaps, locked out?" one of us shouted. "Bet you need a fancy code to open the door and you guys haven't got it. Try Nigel Stepney!" Mario thought it was funny, but poor Norbert just stared reflectively into his wine glass, any jokes wearing a bit thin after four days of full-scale aggravation. Honda then released a statement confirming that Coughlan and Stepney had met with Fry to investigate job opportunities, but refuting the idea that any confidential information had been offered or sought. Implying that Coughlan was working towards his own agenda, it finally appeared to take some of the heat off McLaren, if only temporarily. Your first thought was that if Fry had piped up at the start of the week rather than the end, it would have saved McLaren an awful lot of grief and poisonous ink. When I put that to Fry he explained that he'd flown straight from Magny Cours to Japan, which is eight hours ahead, and then been in meetings. He'd heard rumblings of the story in Japan on Wednesday, but at that stage Coughlan had not been formally identified. By the time he had, Fry was in bed and then on a plane back home. He landed at Heathrow on Thursday afternoon, whereupon his press officer, Tracy Novak, informed him that journalists were openly writing that Stepney and Coughlan had met with Honda and that there may be a need to say something. Fry rang McLaren's Martin Whitmarsh within the hour and put out a statement shortly afterwards. All fair enough. I was surprised by the number of people suggesting that Fry could be for the high jump over all this. Some were portraying it as if he had acted in isolation, but there is no reason to believe that the Japanese weren't fully cognisant of everything that was going on. So long as he hadn't handled any documentation, there was absolutely nothing wrong with Fry's action. Let's face it, if your works Honda team are still chasing Super Aguri in the constructors' championship by mid-season, and you are paying England's second most famous F1 driver a fortune to drive a lemon, you are going to be interested if you are rung up by a key Ferrari player who tells you that McLaren's chief designer also wants to speak to you. Fail to investigate that, and you're guilty of negligence on a grand scale. Fry also explained to me that he was a friend of McLaren MD Jonathan Neale, Coughlan's immediate boss. At the meeting with Coughlan on June 1, Mike had told Fry that he had some issues at McLaren and was due to speak to Neale about them at Indianapolis in a couple of weeks. Fry said he didn't want to cut across that and told Coughlan that he should go away and have those talks, then speak to Honda again if his situation at McLaren was still not satisfactory. There is no reason to doubt the veracity of any of this. I can't claim to know Coughlan well but did come across him more in the late nineties when he was technical director of Arrows. He always seemed entirely pleasant, enthusiastic, articulate and willing to talk. He liked his football, was a passionate Brentford fan, for which most were prepared to forgive him, and his still boyish enthusiasm for Formula One was self-evident. What was my gut feeling about all this? Well, I wasn't happy at the prospect of writing about the subject, knowing that there were machinations going on at Ferrari, and without any concrete evidence of wrongdoing by Coughlan, let alone McLaren. Yes, I know Ferrari claimed to have found documents, but what precisely? At the time, we didn't know. And we didn't know for sure how they had been found. The word was out that Ferrari had been tipped off by an employee in a copy shop in Surrey, close to McLaren's base, where someone (Trudy Coughlan, Mike's wife, allegedly) took the Ferrari documents to be copied. Supposedly the Prancing Horse logo and the word 'confidential' had prompted suspicions at the copy shop and a call was put through to Maranello. This didn't smell right. Would anyone really go to a public copy shop with sensitive documentation when they could nip down to Staples and buy a fifty quid copier? And why would we be talking hard paper copies in the computer age in the first place? I must admit that the thought of a Ferrari stitch-up did occur to me, and it did so again when Stepney categorically denied handing any information to Coughlan and suggested that Ferrari was trying to fit him up. Yes, on the surface, Stepney and Coughlan looked guilty as hell, a fact Stepney admitted, but how could you know for sure? You hoped for the sake of all the newspaper journalists writing stories ruining Coughlan's reputation that they were right. I tracked down Coughlan's phone numbers and rang. Predictably, I got answering machines at home and on his mobile. Two things didn't add up. First, Coughlan knew that the heat was on Stepney and so, if he had incriminating documents at his house, why hadn't he got rid of them? "If that's true," someone said, "then Coughlan has been either indescribably arrogant or indescribably stupid, and it's not a good choice, is it?" Dennis's take, having conducted the McLaren internal investigation, was obviously much sought, but McLaren, too, were saying little. I asked Ron if there were any circumstances for which it was appropriate to have sympathy for Coughlan's position. He didn't answer but looked so affronted that I might as well have asked if he was a closet kiddy fiddler. It kind of answered the question. Put yourself in Coughlan's position. Let's suppose you have come by some interesting technical information from your bitter rivals by whatever means. You fancy feathering your nest at Honda and, best case scenario, your salary will soon be measured in the millions rather than the hundreds of thousands. Worst case scenario, it doesn't come off and you have some useful inside information to use in your current role. It occurs to you neither that you might be caught, nor of the implications for your current employer if you are. Max Mosley did indeed overturn Bernie's Hamilton assurances, pointing out that it is rare for the punishment of a team to be different from that of a driver. And key, he said, would be whether or not Coughlan's confidential information had actually gone into McLaren. By suspending Coughlan immediately, Dennis ensured that he was not coming into the building. Jonathan Neale, Ferrari alleged, knew of the documentation. Yes he did, McLaren admits now, but only on July 3, the day Coughlan was suspended. Given the fragility of the relationship between Mosley and Dennis, you can imagine the FIA president finding McLaren's position somewhat amusing. The governing body, after all, has no authority over an individual and the rules state that teams are responsible for their employees - even ones who have been a bit daft. Which is all rather regrettable but, you see, our hands are tied, you can just hear Max saying. And, of course, nobody could really accuse the FIA investigation of being contrived, given the volume of coverage afforded to the episode. There has already been some bad blood behind the scenes this year. Ferrari's flexi-floor approach, for instance, was reined in by a technical clarification from Charlie Whiting, after some prompting from elsewhere. 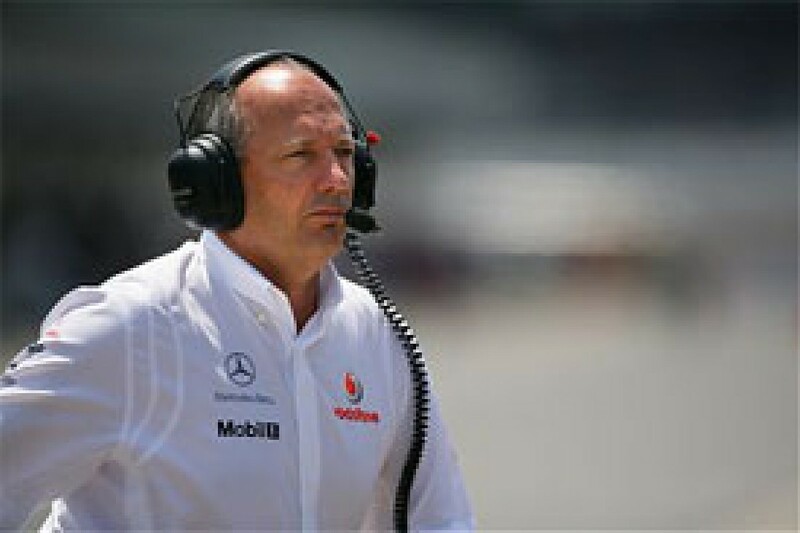 At Silverstone, Todt was specifically asked whether, in view of the Honda position, he believed Ron Dennis's assertions that McLaren had behaved with integrity and would be vindicated by any investigation. He well knew that if he said yes, he would generate lots of 'McLaren honest says Todt' headlines and, clearly, he didn't wish to help the opposition and so he declined to answer. We cannot know for sure what has gone on and McLaren are required to provide satisfactory answers to 37 FIA questions ahead of next Thursday's appearance before the World Council. But, gut instinct again, I'd be very surprised if McLaren are guilty of anything by foul means that has given them a competitive advantage in 2007. Which is not to say that they won't be found guilty of something by the simple fact of Coughlan being a team employee. A lawyer will argue that Coughlan has been caught red-handed, fact, and that his intentions are conjecture. If McLaren are seriously penalised they will doubtless appeal and then 'F1's spy scandal' will run throughout the summer break. All publicity is good publicity, they say, but it's not. Especially if you are a blue-chip sponsor attached to McLaren and you are anywhere near the word 'fraudulent'. The pity is, we've got a sensational world championship on our hands, deliciously balanced, with the sport, until recently, generating headlines for all the right reasons. Last year at Monza, when Fernando Alonso was fatuously penalised for allowing Felipe Massa's Ferrari to get within 93 metres of him on its qualifying lap, the world champion was deeply unimpressed. He strode into Charlie Whiting's office and informed him that whatever anyone did, he, Alonso, was going to win the world championship and they'd better get used to it. He exited leaving a size eight sized hole in Charlie's waste paper basket. Doubtless he'd directed his ire at the wrong bloke, but the passion was impressive. I wonder what Fred's thinking right now? Not to mention the Coughlans. Trudy Coughlan met Mike when she was a secretary at Tyrrell. Do a Google search and you find a letter she wrote to an office equipment shop in that role, thanking them for their efficient service. I kid you not.